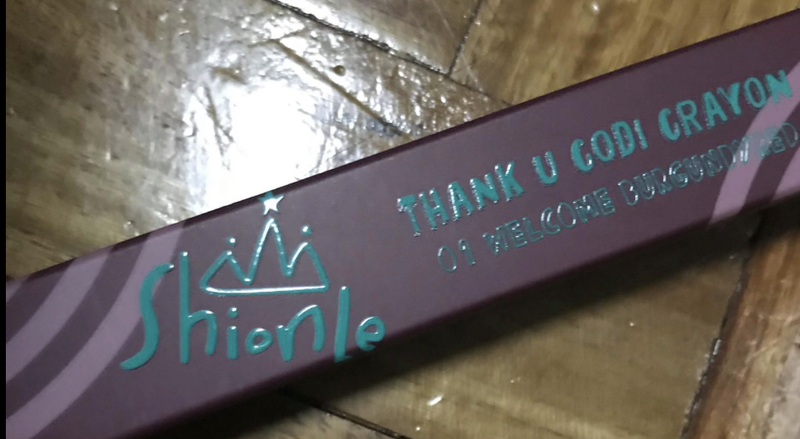 Radiant your Skin Care with the [ShionLe] Thank U Codi Crayon #01 (Welcome Burgundy Red)! we aim to provide you best korean products to take good care of your skin, including Cosmetics, Makeup, Lip Stick . Hydra Lip Stick online. NO More Lates! You can do your make up quickly with Thank U Codi Crayon. Moisture texture of the product helps you to soothe flakes on your lips. Thank U Codi Crayon with bright and vivid color can be used on your lips and cheeks. Turn the down side of the crayon to use and apply on area you want. You can use it as shadow, blusher, and lipstick. kcc…@yahoo.com I like that you can use this as lip and cheek colour!